Noppé has been employed with SRK Consulting as a Corporate Consultant since 2015, serving on the Australasia board for the past three years, and is a Chartered Professional Geologist. According to Noppé, his directorship will be shaped by the definitive uptick in the need for resource-related services seen over the past 12 months, with SRK well-positioned to capitalise on the increase in demand. “From both a capability and a versatility perspective, SRK consistently strives to deliver on client needs and add value to our client’s projects in an increasingly competitive market. “Our vision remains clear: to be recognised as a partner of choice by our clients, delivering services based on real needs while being worthy of our clients’ confidence by remaining accountable for our actions,” he said. He cites the integration of SRK’s various services to provide holistic life of asset support, from discovery through to closure, as a key focus over the coming period. SRK Consulting (Australasia) has been engaged in a number of high profile projects across its multi-disciplinary teams, including projects for junior, mid-tier and major mining companies. “Our local expertise is sought out globally, with over 40% of our clients’ projects located outside of Australia. In particular, our tailings and mine closure planning expertise, which make up a significant portion of our project work,” Noppé said. Noppé is widely regarded as a leading figure in the geosciences industry. He has provided advice, training and mentoring in all aspects of orebody knowledge, including exploration reporting, resource definition and reporting, mine geology and grade control, over his more than 30 years in the industry, including 20 years in consulting. 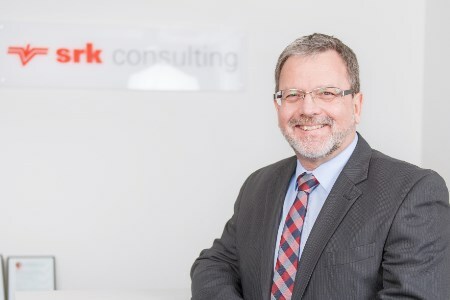 He replaces the outgoing Managing Director, Chris Woodfull, who will remain with SRK Consulting based in SRK’s Newcastle office. Woodfull is the chair of the SRK Consulting Asia board and a Director of SRK Global.